We’d love your help. Let us know what’s wrong with this preview of Falling Through Trees by Crystal Klimavicz. Falling Through Trees is a story about two sisters who, estranged by a thirteen year age difference and living worlds apart, come together by the imminent death of the mother they share. It's a story about sisters and secrets, suicide and strength, and learning how to let go of the past and embrace the future. To ask other readers questions about Falling Through Trees, please sign up. Readers of Falling Through Trees: I am currently working on my second novel which will be a sequel, and I would love to receive some feedback on which of my characters you would like to see return! Great book! I totally enjoyed my time with Crystal Klimavicz's lovely story. I can not wait to read more from this author! I hope she writes a series so that I can continue to follow these characters. I truly want to find out what is going on with the letter Kate receives in the epilogue. I found myself thinking about my own personal experiences as I was reading this book. Past relationships; growing from a selfish young adult to a nurturing, understanding adult; finding a voice to speak out against injustice even when it is uncomfortable; how friendships change when boys I can not wait to read more from this author! I hope she writes a series so that I can continue to follow these characters. I truly want to find out what is going on with the letter Kate receives in the epilogue. I found myself thinking about my own personal experiences as I was reading this book. Past relationships; growing from a selfish young adult to a nurturing, understanding adult; finding a voice to speak out against injustice even when it is uncomfortable; how friendships change when boys and girls hit an age where you are no longer like brother and sister. I loved watching the sisters grow and find a relationship through the loss of a loved one. I adored this book. I felt like it was the first book I've read that really captured true emotion in some very emotional circumstances. It made me feel like other authors have written about emotions that they heard about from others, but this author actually experienced these emotions and captured them brilliantly. It felt genuine and I appreciated reading something so real. Great book Crystal! You developed the characters so well- I feel like I really know them. The family dynamics are so interesting. Will you be continuing the story? Great book! That ending...Please say there is more? From Maine to the south, a stint overseas, and back to Maine again, Crystal now lives just outside of beautiful Portland, ME with her husband and their two children. Her love for the written word coupled with family tragedy, prompted her to write Falling Through Trees. Two years later, the sequel, This Side of Perfect, was released. Both books have been recently republished under her pen name, Cry From Maine to the south, a stint overseas, and back to Maine again, Crystal now lives just outside of beautiful Portland, ME with her husband and their two children. 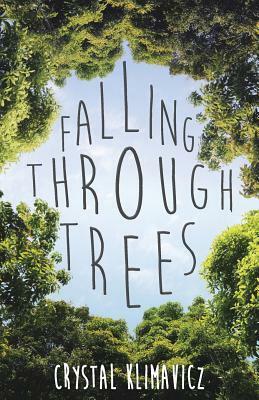 Her love for the written word coupled with family tragedy, prompted her to write Falling Through Trees. Two years later, the sequel, This Side of Perfect, was released. Both books have been recently republished under her pen name, Crystal Cole; same family dramas, told through a tighter prose and showcased by gorgeous new covers. Beyond women's fiction, Crystal has also written The Days of Not So Long Ago, as well as multiple family memoirs. Currently, she is editing manuscripts for a number of aspiring authors, teaching the craft of memoir, and writing her latest novel, The Upended Life of Magnolia Clementine, due out in 2019.